We have a robust customer service and customer experience training library and know a lot about what works and what doesn’t. 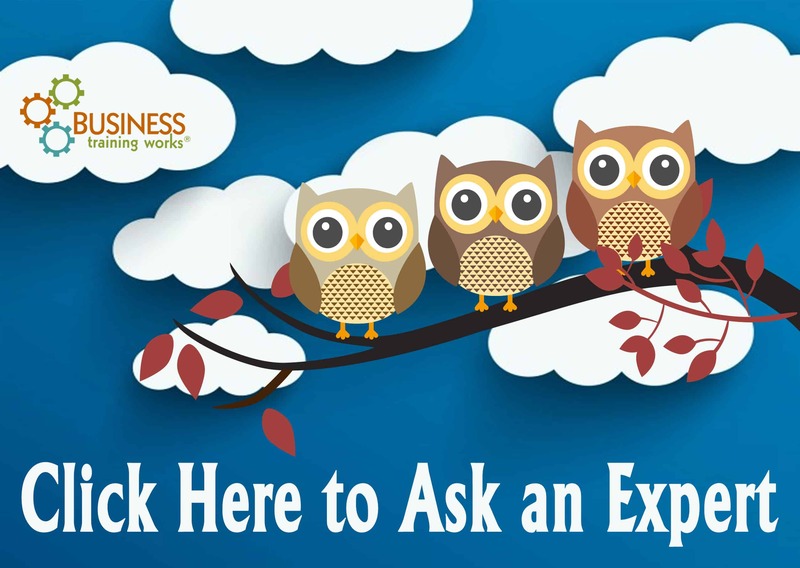 If you have a question about customer service or the customer experience, perhaps one of our experts can help. Drop us a line, and you may just see the answer to your question here. I work in a call center and do the same basic job day in and day out. By the end of the day, I’m tired. I’ve been told by my supervisor that she can hear my energy level drop and our callers can too. I need this job. Do you have any idea how I can sound more enthusiastic? Congratulations on wanting to improve your skills. Because your challenge seems to appear at the end of the day, we assume it is not prevalent when you first arrive and get on the phone. We’re going to take a leap and guess that you do a great job earlier in your shift. The key is to reproduce that sound throughout the day. We recommend you pay attention to what you do, what you say, and how you say it when you take your first couple of calls. Note such elements as your posture, your tone, and your pace. Later in the day, focus again. Have you changed your approach to any of those areas? If so, those adjustments are probably affecting your energy. While you’re performing your self-evaluation, there are a few additional tools you can leverage to help you as you’re working your calls. The first is a mirror. Buy one, and place it on your desk. Before you pick up the phone, look at it, sit up straight, and smile. It may sound silly, but the technique works. Next, you might also want to consider cutting out some faces from magazines and pasting them someplace where you can see them. When you talk to customers, look at those images. This trick can help you remember you’re talking to people. Finally, in your note to us, you expressed the fact that you need your job. We suggest you practice a little self-talk. You might want to craft a little mantra. “I want my job. I need my job. I show great energy on my job.” As the day progresses, say it a few times. Even if you only think the words, you should see a difference. My service team is making me crazy. I’ve sent them to training, they seem like they get it, then they go back in the field and return to their old ways. I’m going nuts, and I’m spending a ton of time troubleshooting and fixing problems. I’d like to be putting my hours into growing the business. Thoughts? Wow! That situation certainly does seem frustrating. If you were our client, we’d look into a few areas to see what’s going on and why. Your training doesn’t cover what’s needed to be successful on the job. There are no consequences (either positive or negative) for not performing in a certain way. Something systematic is keeping people from doing what they know they should do. For example, if they are supposed to be warm, concerned, and kind but you have them on a two-minute call limit, you’ve put a barrier in place. We suggest you interview your staff individually. Explain you are evaluating training, and you need their opinion. The ratio of talking to listening should be about 30/70. In other words, listen about twice as much as you talk. What does great service mean to you? How well do you think we’re doing? How well does our training program address what you need to know to serve our customers? There seems to be a gap between what people do in class and what happens out in the field. Do you agree? Why do you think that gap exists? What people or processes prevent our service team from doing their best work? Those basic questions should help you get to the root cause of the problem. As you hold your interviews, remember you are asking for opinions. Don’t argue with what you’re told. Instead, seek to understand points of view and beliefs. The less emotional and more focused you can be, the better. Let us know how it goes. We’re always eager to get an update. My company is a search site for people planning events. Various venues list their services with us. We’ve adopted a policy of inclusiveness. What I mean by that is we don’t want to list businesses that discriminate against any particular group. As you might imagine, we’ve had some customers who feel very differently. For example, a few don’t want to cater for the LGBTQ community. We’ve been asked by our senior team to “break up” with these customers. My staff needs to know what to say. We’ve had some customers get very angry. Many have also accused us of trying to tell them who to serve and who not to serve. We can certainly help. From what we understand from your note, a decision has been made about your brand. You have adopted a philosophy of inclusiveness, and actions that don’t promote that idea, are off brand. While it may take a while to get the language just right, that approach should work. It sticks to the facts, it’s polite, and it doesn’t get personal. Let us know how it goes, and good luck! I’ve just taken the job as a call center supervisor for a relatively small company. How do I say this? My staff is just rude. I’ve confronted several of them, and the responses I’ve gotten basically equal one idea – “We don’t have time to be nice.” I’ve tried to explain that curt behavior actually extends call length; they don’t listen. If I could, I’d fire them all. The problem is they have deep technical knowledge. They certainly know a lot more than I do. Any ideas for me? Thank you in advance. Think about how you want calls to sound. Write down those words. The clearer and more specific you can be, the better. Next, get on the phone and learn the job. You need to earn the respect of the people you’re supervising and understand what they do. As you’re learning, model your idea of how a call should sound. If possible, record your exchanges. Collect data too. How long do your calls take? How are customers rating the service you’re providing. Information is powerful. Then, bring your team together. The goal here isn’t to be right. Instead, you want to generate buy-in. Be frank about what you’ve learned. If possible, praise the team for its knowledge. Next, discuss standards and expectations. The better bought in your group is, the easier this step is going to be. Focus on one standard every week. For example, in week one, you might focus on greetings. Once everyone is giving greetings that are on-brand, you can move to the next standard. We also suggest you hold morning huddles, evening closings, and mini-celebrations along the way. You’re asking people to change, and you need to support their successes. If you haven’t done so or haven’t done so lately, we recommend you take a coaching skills course or read a good book on the subject. Coaching is going to be an essential skill for you to have throughout the process. Keep us updated on your progress, and good luck!